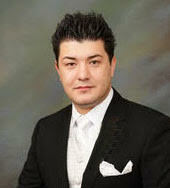 Mir Wyse Khulmi is the president and CEO of Giant Auctions Corporation. Mir Wyse incorporated Giant Auctions in 2007 with a small investment. Today Giant Auctions has grown to be the largest furniture, electronics and home decor auction business in all of Canada. Currently the corporation has over 75 employees. Giant Auctions has served over 500,000 customers in Ontario. Giant Auctions has an approximately 100,000 square feet retail/warehouse showroom. It is the largest retail showroom of furniture, electronics and home decor in all of Kennedy Road. Kennedy Road is the main market for the furniture industry in Ontario. The annual revenue currently is $12,000,000 per year between auction and retail division. Giant Auctions is pursuing a second retail division in the city of Vaughn, Ontario. Mir Wyse has over 17 years of business experience. He also has several rental commercial properties including in the city of Bowmanville, Peterborough, Pickering, Toronto and Whitby. Future projects include building multi-unit housing including townhouses and condominiums.